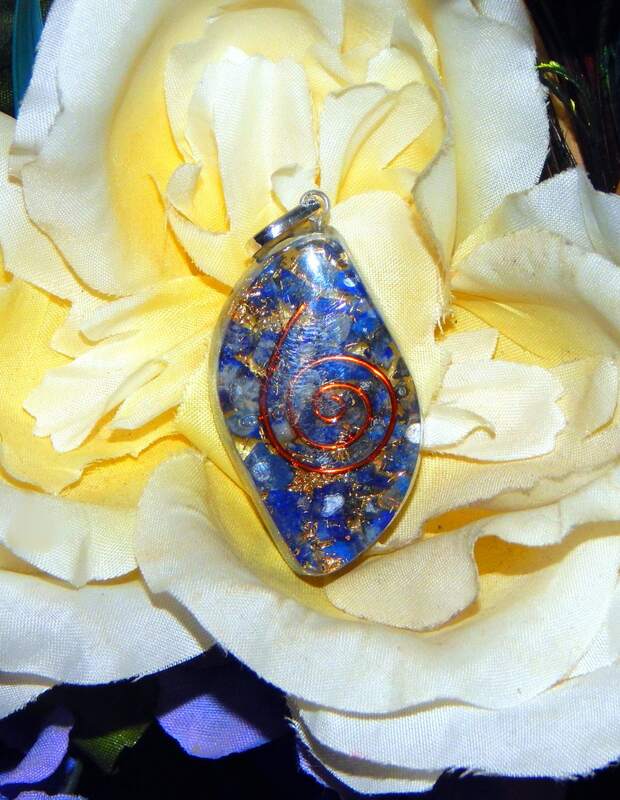 This exquisite Orgone pendant is hand-crafted with genuine Lapis Lazuli, Sodalite and copper. It has been fashioned in the shape of an 'evil eye' talisman, also known in many cultures as a nazar. 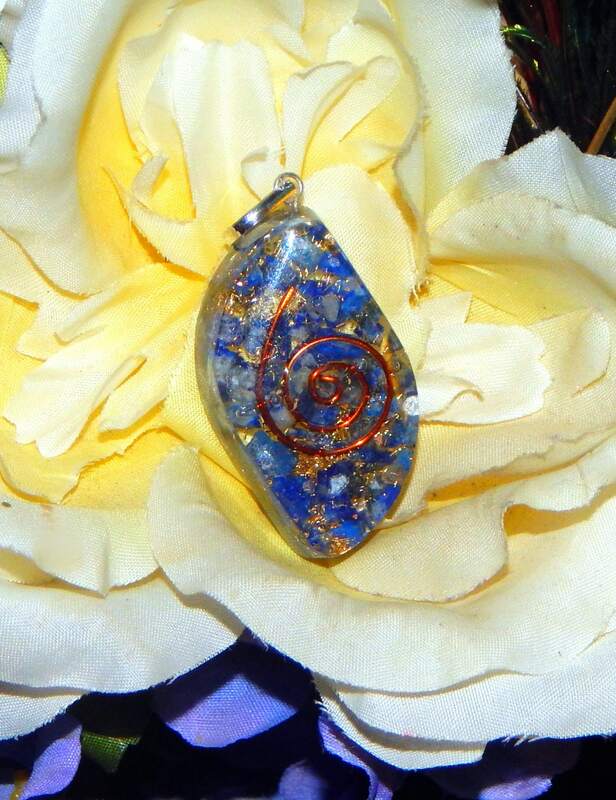 The reiki applications of Lapis Lazuli suggest this stone as a stone of vision, awareness and spiritual connection. Sodalite is a stone of communications, truth and wisdom, connected to both the brow and throat chakra- facilitating communication on earthly and heavenly levels. Together, these stones hold energy optimum for enhancing and unlocking the Brow (Third Eye) chakra's infinite wisdom, intricate language and all-seeing vision. Includes faux leather necklace cord with extender chain, 18' inches in length. Each pendant is hand crafted, patterns and slight color variations may occur compared to the photos.